Ocean View, Robin Hood’s Bay, North York Moors National Park. Listed building internal remodelling and repair. 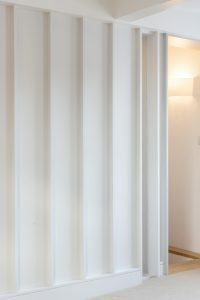 Bespoke joinery wall panelling. Architectural project by Ian Hazard Architect.